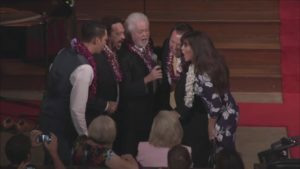 World renowned entertainer and recording artist, Marie Osmond, was the featured guest on 12 October 2018, at the historic Kawaiaha’o Church in Honolulu, Hawaii. She and several members of her family, including brothers Alan, Merrill, and Jay, and nephew, David Osmond, were invited to an interfaith devotional. 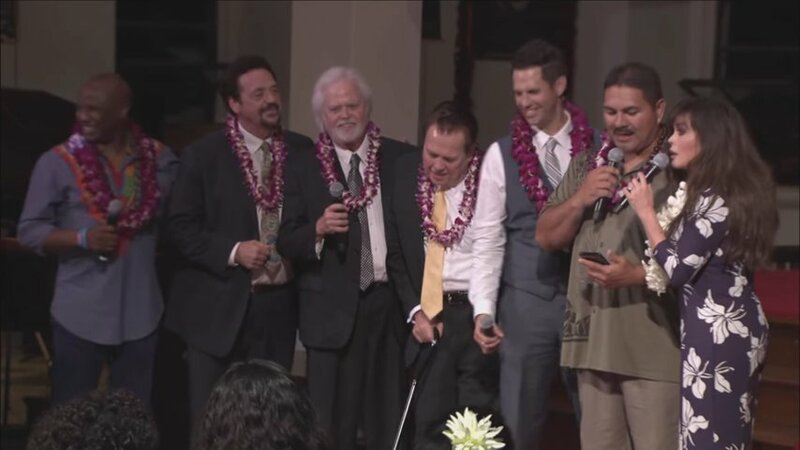 The devotional was hosted by the Kawaiaha’o Church and the United Church of Christ and cosponsored by The Church of Jesus Christ of Latter-day Saints (often mistakenly referred to as the “Mormon Church”). 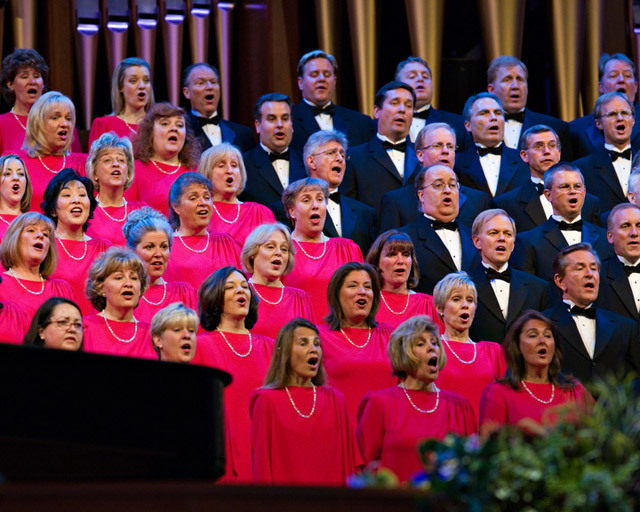 The devotional was named “The Marie Osmond and Friends Unity Through Music Devotional.” Latter-day Saint recording artist, Alex Boyé, also joined the Osmonds at the event. Marie’s parents, the late George Virl Osmond, Sr. and the late Olive Davis Osmond served as senior missionaries at the Church’s Laie Hawaii Temple Visitors’ Center in Laie in the 1980s. She explained that she had chosen to hold her birthday concert in Hawaii the following night because her parents loved Hawaii. Many local musical talents also participated in the interfaith devotional. The talent included the St. John Apostle and Evangelical Catholic Church choir from Mililani, Oahu; Gabby Pahinui, the grandson and namesake of a well-known Hawaiian slack key player and singer Gabby “Pops” Pahinui, from New Hope Windward Church in Kaneohe; the Samoan Seventh-day Adventist men’s choir from various congregations across the island; Musical Truth, a Laie choir led by Jolene Kanahele with members from throughout Oahu; and well-known ukulele master and teacher Roy Sakuma. 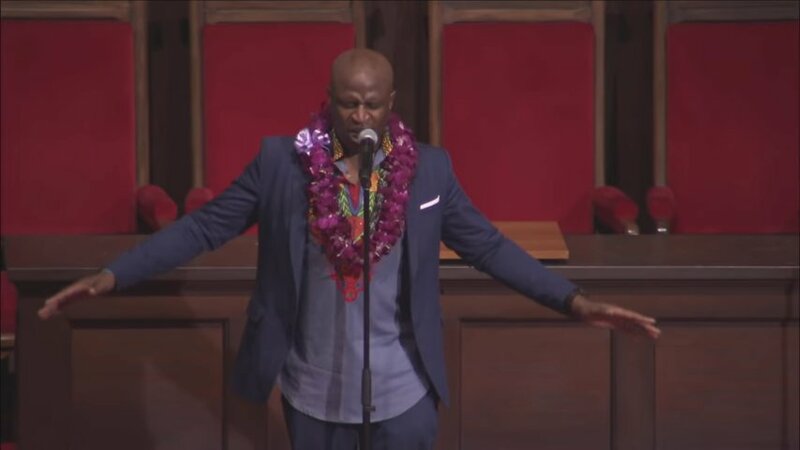 The interfaith event was free, however, those attending were encouraged to donate a can of food to the Kawaiaha’o Church food pantry program for those in need. Full-time missionaries from the Hawaii Honolulu Mission assisted with the donated provisions.